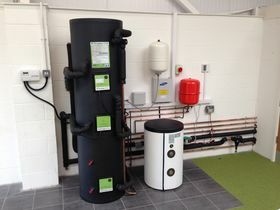 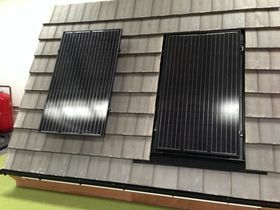 PV solar hot water heaters, thermal solar, biomass boilers, air source heating, underfloor heating, wood burning stoves, rain water harvesting, wind turbines, smart heating controls and a variety of energy efficient products. 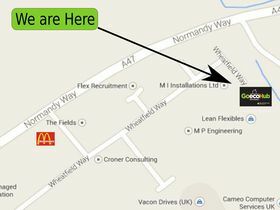 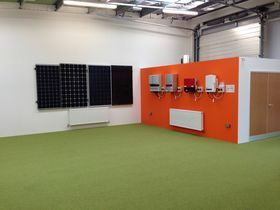 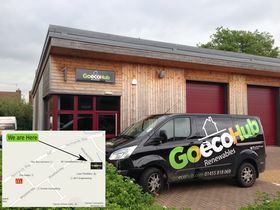 Our showroom is heated and powered entirely with renewable energy systems. 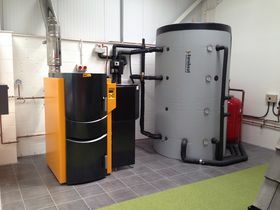 Heating is provided by the wood burning stoves and the SHT biomass boiler with a dual fuel feed of wood logs and pellets providing heat to a 2500L thermal store. 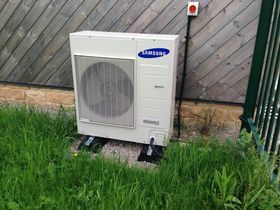 The underfloor heating system, the radiators and fan blower heater are drawing heat from the thermal store when required. 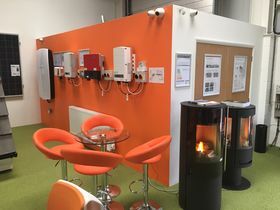 Room heating equipments are then controlled via the 'Heatmiser' smart heating control zone thermostats. 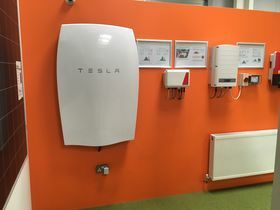 Electricity is supplied by the 4KW PV Solar panels on the roof & Tesla Powerwall for the battery storage of the unused electric for night time use. 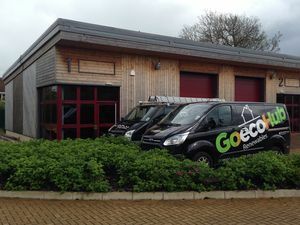 We have managed to achieve an A rating on our EPC ( Energy Performance Certificate) for our showroom and office building with these renewable systems in place.